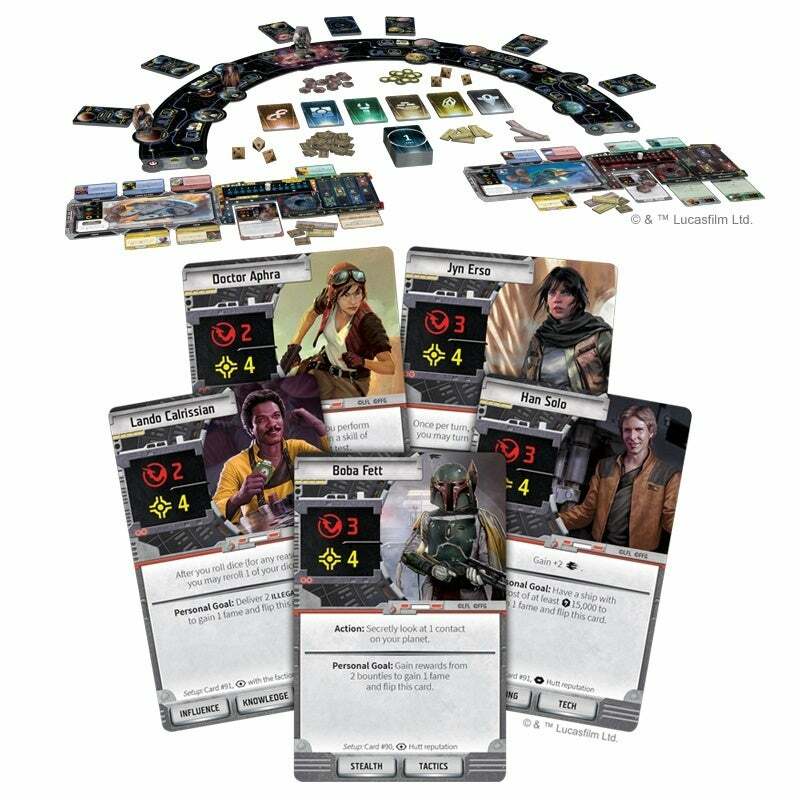 Star Wars fans are getting a new tabletop game from Fantasy Flight Games called Star Wars: Outer Rim, and it features some of your favorite smugglers, including Han Solo, Boba Fett, Jyn Erso, Lando, Doctor Aphra, and more. The new board game is called Star Wars: Outer Rim and is a game for 1 to 4 players. The game tasks players with trying to become the most famous scoundrel in the galaxy, and features a number of familiar faces including Han Solo, Jyn Erso, Doctor Aphra, Lando Calrissian, and Boba Fett. Those characters can be chosen to be your pilot as you take on dangerous jobs, track bounties, deliver illegal cargo, and more to try and build up fame. To win the game you'll need to reach 10 fame, but first, you'll need to upgrade your simple starship with gear and modifications. As you take on more jobs for various factions and take down patrols, your fame will grow (as will your credits), allowing you to turn your simple vessel into bigger and better ships, including iconic ships like the Millennium Falcon. You'll also need to assemble a crew, which can include characters like Chewbacca and Hondo Ohnaka among others. All of the crew members add different and unique abilities to your ship, though they can also bring problems, as some characters can have a death mark on them, allowing other players to track them down and attack them for bounties. You can reach an agreement to get around it, or you could have to outright defend them, but the choice is yours. The game will also have you drawing encounter cards when your turn ends, which will present you with various scenarios that you'll need to utilize your specific skills to complete. Sounds pretty sweet right? Yeah, we think so too, and you can check out the official description below. "Take to the stars and become a living legend in Star Wars™: Outer Rim, a game of bounty hunters, mercenaries, and smugglers for 1-4 players! In Outer Rim, you take on the role of an underworld denizen, setting out to make your mark on the galaxy. You’ll travel the outer rim in your personal ship, hire legendary Star Wars characters to join your crew, and try to become the most famous (or infamous) outlaw in the galaxy! But it won’t be easy, the warring factions of the galaxy roam the outer rim, hunting down the scum that have proven to be a thorn in their side, and other scoundrels looking to make their mark see you as the perfect target to bring down to bolster their own reputation. Do you have what it takes to survive in the outer rim and become a living legend?" 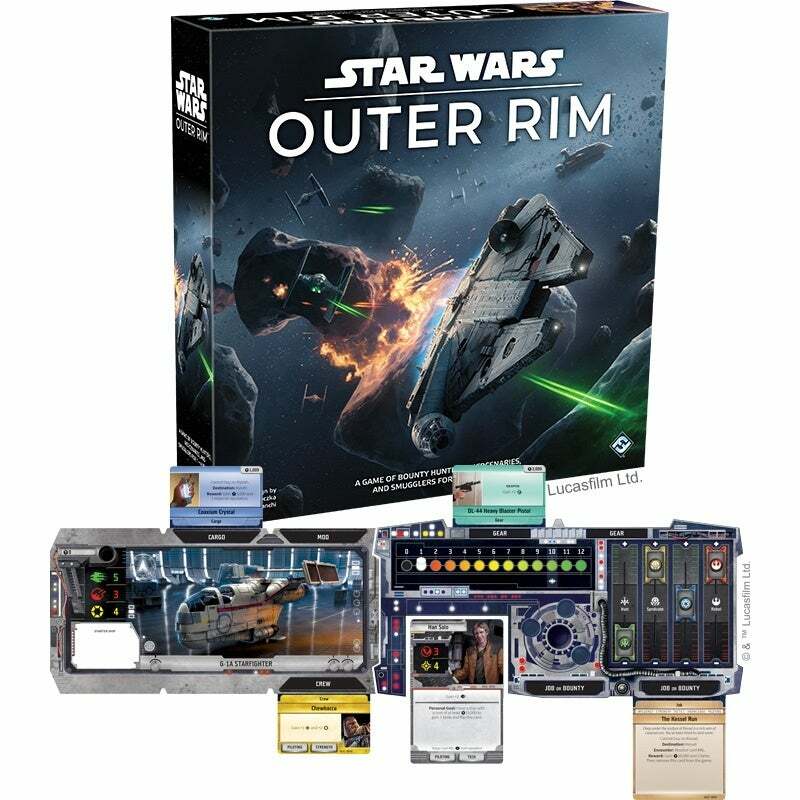 Star Wars: Outer Rim hits stores during Quarter 2 of 2019, and will retail for $64.95. Star Wars: The Rise of Skywalker: Will the "Jedi" Be Replaced by "Skywalkers"?